Lauren Groff has been named the winner of the 2018 Story Prize for her collection FLORIDA. Katya Apekina is a finalist for the 2018 LA Times First Fiction Prize for THE DEEPER THE WATER THE UGLIER THE FISH. Lauren Groff has been named a finalist for the 2018 Story Prize for her collection FLORIDA. Akil Kumarasamy (HALF GODS), Casey Legler (GODSPEED), and Shane Bauer (AMERICAN PRISON) have been longlisted for the 2019 PEN America Literary Awards. AMERICAN PRISON has been named one of the 10 Best Books of 2018 by The New York TImes. 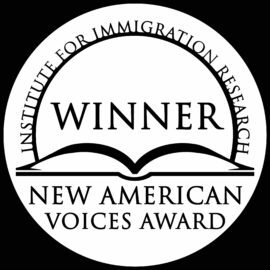 Hernan Diaz has been named the winner of the first annual Institute for Immigration Research New American Voices Award for IN THE DISTANCE. Lauren Groff has been named to the longlist for the 2018 National Book Award for fiction for FLORIDA. Hernan Diaz has been named to the shortlist for the 2018 William Saroyan International Prize for Writing for IN THE DISTANCE.